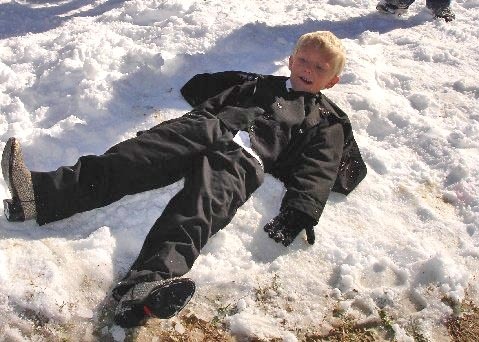 Christmas 2007 Photo Album: B - Austin in the Snow - in Houston!!! B - Austin in the Snow - in Houston!!! Charlotte also sent this one of Austin in the snow. She wrote, "Yes, snow in Houston, Texas. Actually, Katy. Second Baptist had a snow party for the kiddos after church the Sunday before Christmas."